Mobicip uses a real-time intelligent content filtering engine that scans every piece of web content accessed by your child. Now you can customize the dynamic filter by adding your own keywords and phrases. As a Premium user, you can blacklist specific keywords and phrases that you find objectionable. 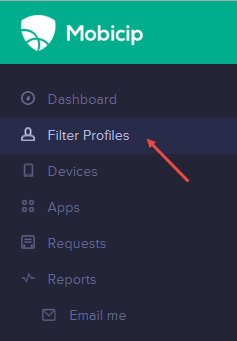 - For the filter profile you wish to edit, click Edit Filter Settings and select the Phrases tab. - Add your custom keywords or phrases to the list. Note: Please use this feature with a lot of thought and caution. It can cause significant over-blocking. Learn more. - Any web content that contains the banned phrase or keyword will be blocked for devices using that user profile. As simple as that!